Like most modern muscle cars, the Gen V Camaro suffers from chassis flex. Under hard cornering the strut towers flex, reducing traction and stability. 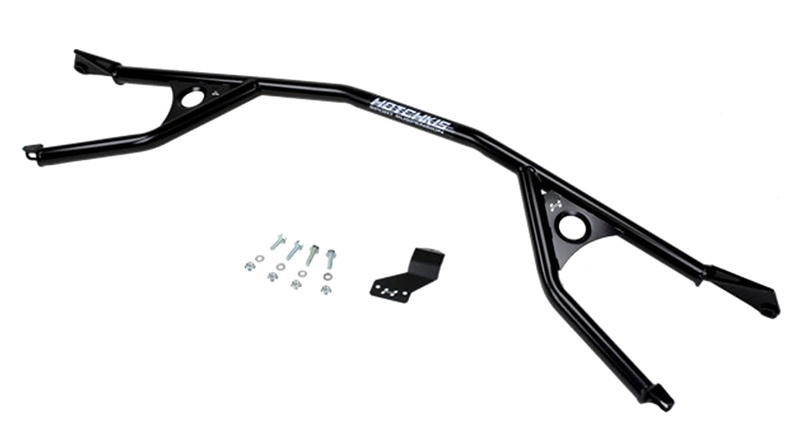 Installing a Hotchkis Sport Suspension Chassis Max Strut Brace reduces chassis flex and improves traction during high-speed cornering by connecting the strut towers. A great compliment to the Hotchkis TVS Stage II Track Pack for Camaro. 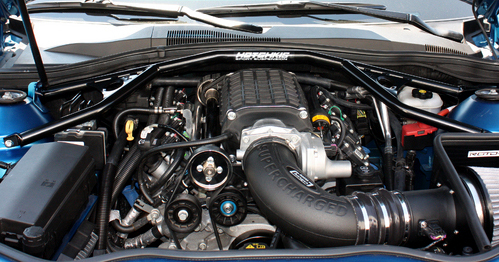 Beef up your Camaro's Chassis with Hotchkis Chassis Max Strut Tower Brace for 2010-14 Camaro! Like most modern muscle cars, the Gen V Camaro suffers from chassis flex. Under hard cornering the strut towers flex, reducing traction and stability. Installing a Hotchkis Sport Suspension Chassis Max Strut Brace reduces chassis flex and improves traction during high-speed cornering by connecting the strut towers. Manufactured from strong, lightweight 1 1/4" tubing and mated to laser cut, CNC machined brackets, the system bolts on in minutes. The brace has been designed to clear most popular aftermarket supercharger systems and includes brackets to move the reservoir. Finished in durable anthracite powder coat, the Chassis Max is a must have for any modern Camaro. Fits coupes and convertibles with V8 or V6. Application Note: This application has been designed and tested to work on the V8 models naturally aspirated, as well as the Magnuson Super Charger and Edelbrock. May Not not fit V6 models, as well as V8 cars running other supercharger brands such as Vortech or Kenne Bell.